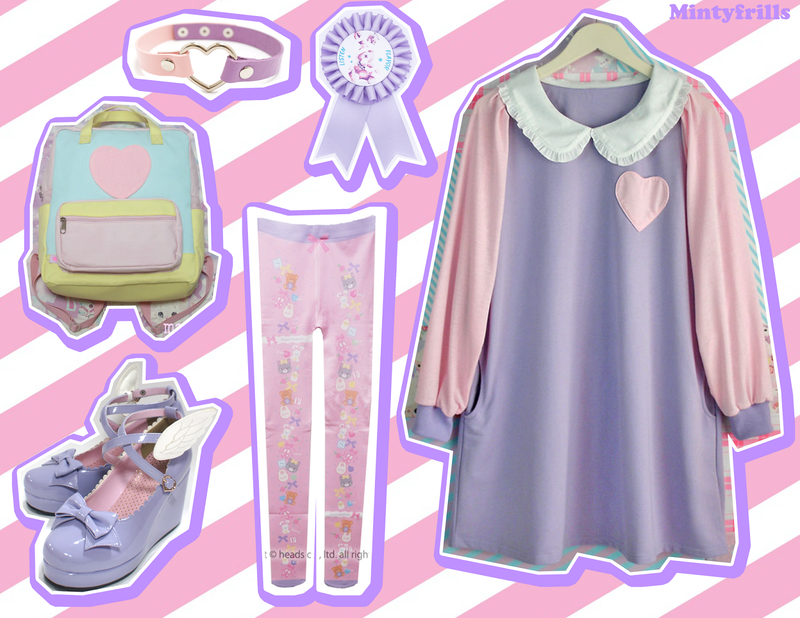 Lately I have been more and more into the Yume Kawaii aesthetic, what is better than dreamy pastels? Here are some picks of clothes I think would look really cute together. The stockings are designed by one of my favorite illustrators Phooey and are super cute!